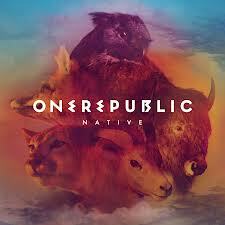 “Counting Stars” is just one highlight of an understated album amassed with an array of awesome tracks. A few fillers here and there, but on a whole “Native” is a must-buy. The chart-topping single’s opening chorus – using an acoustic guitar backdrop – acts as a gravitational pull to a listeners ear, luring them into a false feeling of melancholy as Tedder croons lyrics laden with love references before a beat of a drum brings the track to life. A catchy repeat of the chorus follows which is probably a key component in why listeners have been captivated by the track enough to make it the groups most successful single yet. The lyricism in each verse is luxurious, proof of why One Republic are such a well-loved, world-renowned band with a bright future ahead of them. Although I can’t comprehend why the Colorado five-piece have never sustained success, “Counting Stars” is surely a step in the right direction and a few more releases off of “Native” could hardly harm either. What do you think of “Counting Stars”? Let us know in the comments below.